Being a kid is stressful, alright? Adults tend to think that childhood is a worry-free state of existential bliss, and some even go as far as to envy their children. Those adults are delusional. When you are a kid, the world is huge and confusing and uncertain and it ends ten times a day and every little problem seems enormous. Honestly, I’d love to be younger, but the anxiety just isn’t worth it. Luckily, you can alleviate a large share of childhood stress with an easy parenting fix — installing a routine. 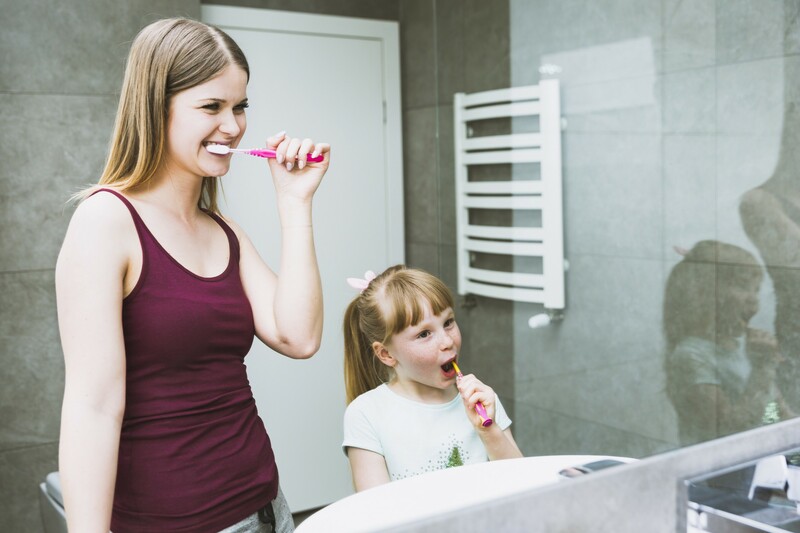 While routines themselves do sound stressful, when done right they provide a sense of security and take the tension away from a parent-child relationship. Here’s the why and the how. Routines go way beyond alleviating stress and provide a number of surprising benefits that last well into adulthood. When there are no established routines, kids have to rely on their parents to tell them what to do and when. Their lives are unpredictable and they don’t feel like there is any control. Having a routine gives your kids a sense of security. They know that, no matter what, certain rituals will be observed same time every day. This could be especially important during a period of change, like an illness, death, divorce, or moving to a new city. During these stressful events kids can rely on established routines to regain their balance. As kids grow older, they become more and more resistant to randomized expressions of parental affection and doing things together may be perceived as a chore. But not when you make it a part of an established routine. Introduce a small family ritual that you and your kids can participate in together, like a sunday ice cream, or a bedtime story, or a weekend baking project. This way your kids will perceive bonding as a given. Once routines are established, they kinda exist on their own. It’s not you, the parent, who tells your kids to do something — it’s the routine. This way there is much less tension between you and your kids and they have no one to rebel against. Another thing that happens when the parent is eliminated from the role of an enforcer is that your kids become more independent. They gain mastery of basic household maintenance and are entrusted with their own schedules, which feels to them like they are in control. Practicing this mindframe will eventually help them transition into adult life. When your kids are given random chores they are robbed of being able to control their time. They are annoyed by this chore coming out of nowhere, it throws their schedule off, and they have no idea whether there is another chore coming after this one. Your kids just can’t manage their time and they don’t try to, because there is no point. But, if they have an established routine, they can do something faster and free up some time, or they can shift things around if necessary. It gives them the transparency and the confidence required for managing their time. Routines take some time to set up, but they barely require any maintenance. Routines free up more of your time, remove unnecessary tension between family members, and make you feel like you are doing a good job as a parent. Which you do. As always, you’ll do well to remember that routines are parenting tools and as such depend on being applied in an appropriate manner. Here are a few things to keep in mind. Don’t overwhelm your kids by suddenly structuring their entire week. Start with one simple ritual and, once it’s fully incorporated, add the others one by one. For example, start by having dinner at exactly the same time every night, add packing a bag for tomorrow immediately after dinner, and then perhaps a bedtime story. Or you may start even smaller and introduce a ritual that happens once a week, like a pizza night. A good routine is reasonable and predictable. Everyone involved has to understand their roles, know what to do, when, and what kind of outcome is expected. Routines also have to be fair to everyone involved. If your kids are doing dishes, for example, then make sure the workload is split adequately and they either alternate the days or have some other routines to even out the effort across all family members. One way to seal the behavior is to offer positive reinforcement whenever your child shows initiative. Catch them following a routine without a reminder and let them know you appreciate it. Use words, hugs, snacks, or whatever is the currency of affection in your family. Another way is to use parental control software to create schedules and eliminate the distraction of mobile devices. Read2Play app, for example, is a good choice for reinforcing the reading ritual in your family. Keep in mind that routines are not just chores. Routines may also include fun things, like snacks and movie nights, hobbies and sports, and even cute family rituals, like always saying hello and kissing goodbye. The idea is to provide your kids with a reliable household structure — not just trick them into not complaining about chores (although that too).